Erica Walter is Vice President at Premier Cellar, a WineDirect partner and email marketing agency. This post isn’t just about growing your email list (although that’s important, for sure). It isn’t really about top-performing welcome campaigns, either. This is about connecting your offline presence to the activities that take place in the digital space. Growing your engaged subscriber list and converting email addresses into online purchases and club members is the goal. Let’s get started. The quantity vs. quality argument: which one wins? You want both. Positioning your email acquisition program exclusively around volume could result in negative unintended consequences, like high opt-out rates and low overall email engagement. Positioning your email acquisition program exclusively around quality, on the other hand, would not drive effectively towards your overall ecommerce growth goals. Every brand is different, so sadly I cannot offer you a one-size-fits-all strategy for which to focus on. If you align your programming with the expectations the customer has when they provide you with their email address, you will win every time. Quantity and quality are both by-products of consistently meeting or exceeding your customer’s expectations, so when you focus your acquisition strategy there, you win both battles in the quantity vs. quality argument. To meet your customer’s expectations with email, start with positioning. Sell your email program like you sell your wine (and make sure you deliver!). What value can your customers expect to receive through your regular email program? Are you positioned to drive tasting room traffic and event reservations? Do you offer the customer “insider status” by sharing behind the scenes looks at the winemaking process, vineyard operations, or the personalities and history that make your winery unique? Are you providing your email subscribers access to purchase incentives like shipping offers or case specials? Make sure this value proposition is very clearly communicated when asking for email addresses from your tasting room visitors, online subscribers, and folks who give you their email address at off-site events. No one strategy or value proposition is better than another. Wine lovers come in all shapes, sizes, and preferences. Everybody enjoys receiving something that matches up with what they expected to receive. New wine club memberships: make sure they understand that you’ll use their email address to keep them informed of important shipment information as well as x, y, and z additional value add. You don’t want your club members unsubscribing from your emails because you sent them event and sales offers when they never had any expectation that you would be sending them emails of that nature. New purchasers: If you aren’t asking for email addresses from your new purchasers at the tasting room, now is a really good time to start. But a word of caution: don’t ask for their email address on the guise of being able to email them their receipt and then immediately begin including them in your regularly scheduled marketing activities. That isn’t express consent/permission to market, and is a great way to fast-track yourself to a high complaint rate and low engagement. By all means, email them their receipt, but let them know that you’d love to stay in touch about x, y and z value-add so that the customer expectation is alignment with the reality of your actions! 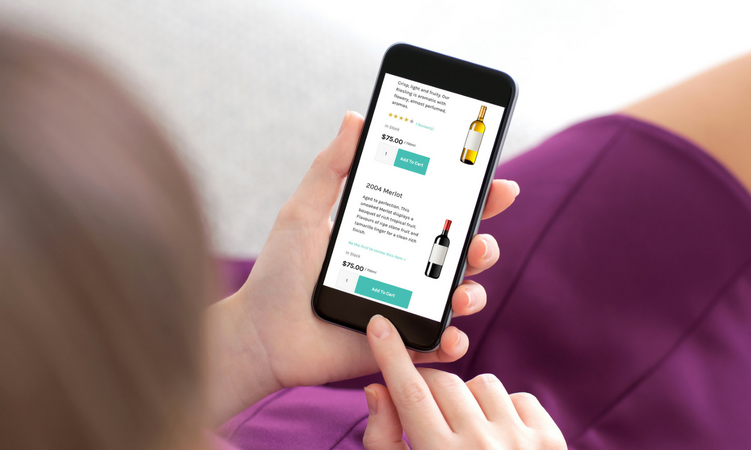 WineDirect is making this easy for you with their newly launched Email Marketing Opt-In from POS receipts (digital high-five!). Tasting room visitors who don’t join a club or purchase wine: This is a huge area of opportunity for subscriber growth. Just because a visitor didn’t join your wine club or go home with several bottles doesn’t mean they didn’t have a positive and memorable experience. Train the tasting room staff leading your experiences to ask for contact information when collecting tasting fees. By connecting an email address at minimum (and name/additional demographic information as provided) to a tasting experience purchase, you can tailor their follow-up email communications to feel personal and relevant. And as we know, relevance = revenue! Align your email programming to the customer expectations, and watch your engagement, list size, and revenue increase! If you aren’t already, make sure you take advantage of WineDirect’s action email functionality - you can easily “set and forget” a welcome action email, but don’t completely forget it. From time to time, it doesn’t hurt to review the messaging and ensure it aligns with your goals. Want to go next level with your welcome campaign or series? Tune in to the Premier Cellar Email Marketing Blog for a deep dive on Welcome campaigns next week! By focusing exclusively on your onsite visitors, we’ve really only scratched the surface of email acquisition opportunities. For turn-by-turn directions to build a comprehensive acquisition strategy for your winery, download our Email Acquisition Success Map via the form on this page!